This right angle cartridge heater features stainless steel braid and swaged in leads. Like Style-5 the stainless steel braid provides excellent flexibility, while ensuring the leads are protected from abrasion.. This style cartridge heater is available on all diameters. 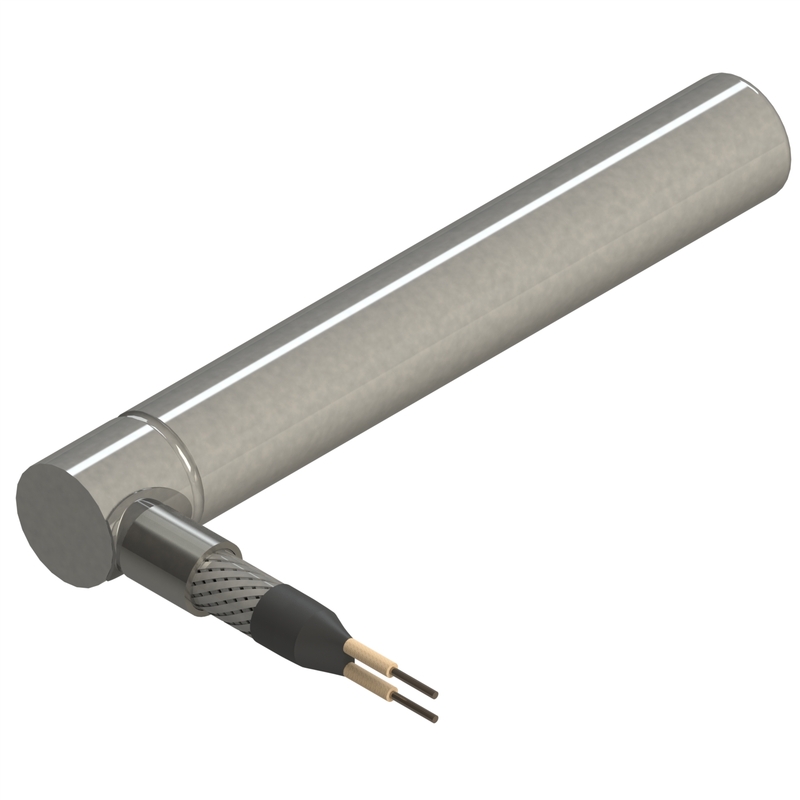 This cartridge heater design can be combined with other style including Teflon® or thermocouples leads.